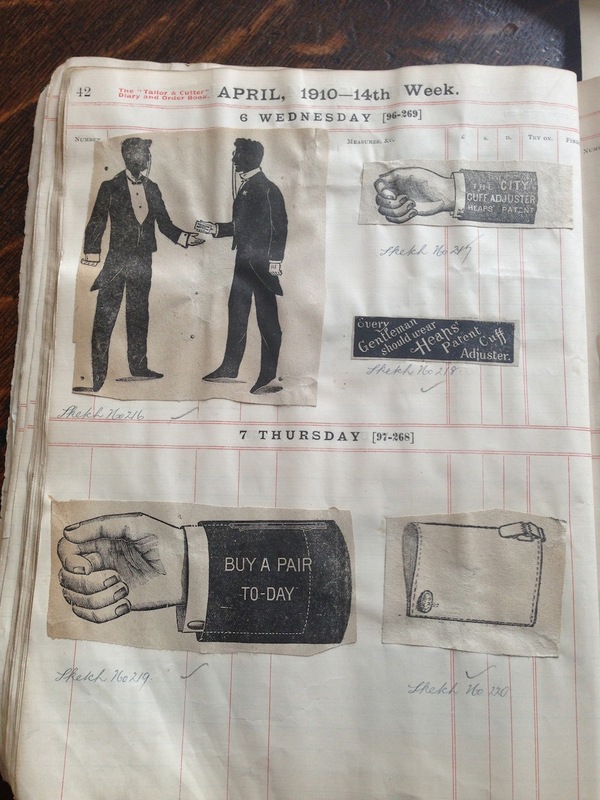 One of the most interesting things about visiting Dugdale Brothers last week was their archives of order books, advertising and old products. The company goes back to 1896 and they still have the nicest premises of any merchant, going back to the 1920s and bang in the middle of Huddersfield. More on that next week. In the meantime, here are a few of my favourites from the archive books. Dugdale used to sell all manner of accessories. It is still one of the few firms to still provide trimmings. Above, we have an advert for a clip that attached the shirt cuff to the sleeve of a suit jacket, so that a gentleman always showed the perfect amount of cuff. Still a market for that today? 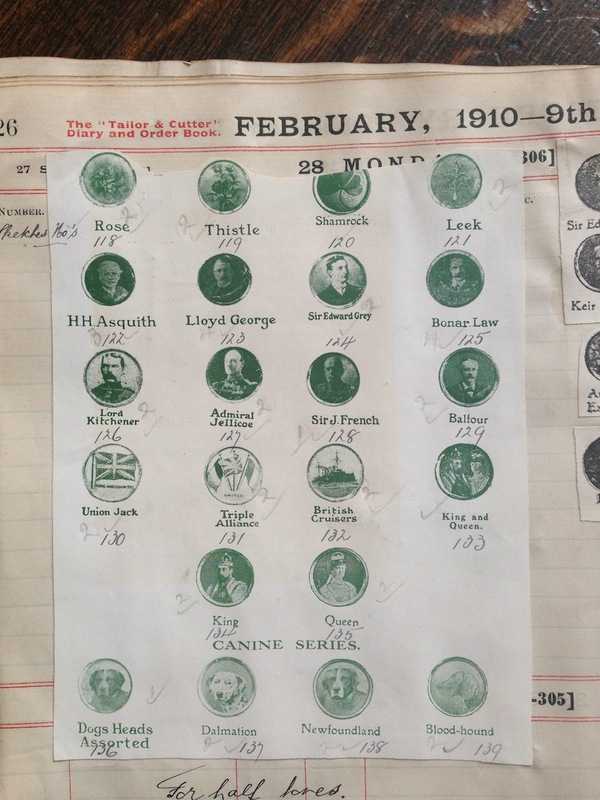 And finally, a series of brass buttons available with a range of flowers, admirals and prime ministers. And dogs. 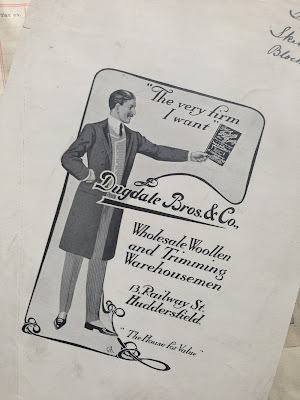 You can follow the discussion on The Dugdale Brothers archives by entering your email address in the box below. You will then receive an email every time a new comment is added. These will also contain a link to a page where you can stop the alerts, and remove all of your related data from the site. 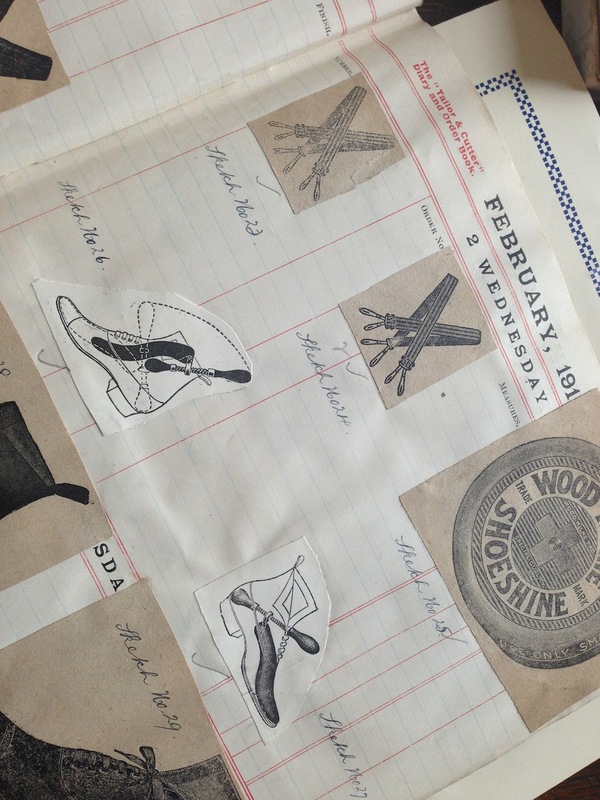 A wonderful archive, thanks for posting. And yes, definitely a market for the cuff adjuster! I’ll wager those of us not lucky enough to have a wardrobe entirely furnished of bespoke jackets and shirts have all spent a day struggling with a cuff at some time or another. Alterations are the best option of course, but this would still be a useful gizmo to have to hand. Were those portrait and dog buttons covered in some sort of enamel? They look too detailed and photo-realistic to be nothing but cast brass. I second the cuff adjuster! Perhaps this could be your next little entrepreneurial endeavor?